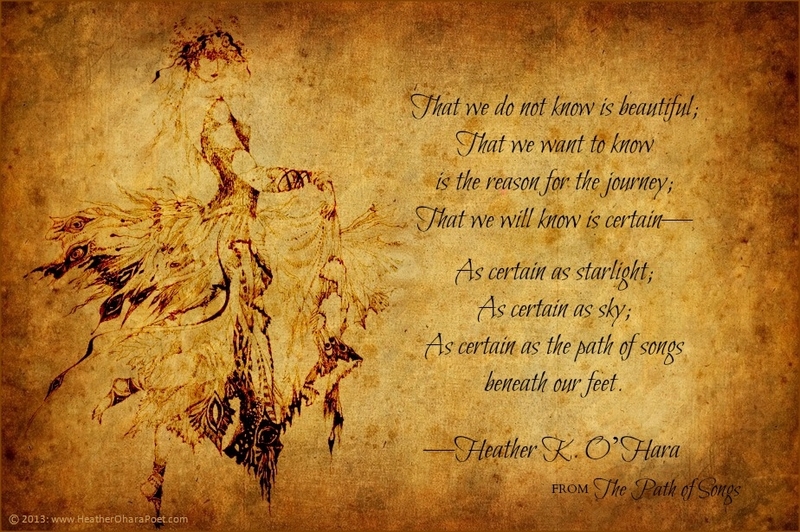 As well as writing poetry and novels, Heather K. O'Hara (H.K. 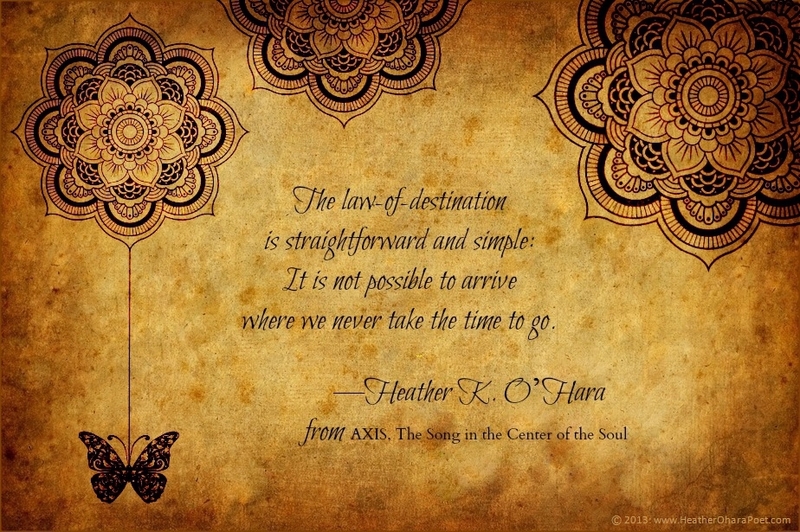 O'Hara) is also the owner of STUDIO-9-DESIGN where she designs and creates her own unique, inspirational cards that reflect her poetic spirit and her profound love of creating. 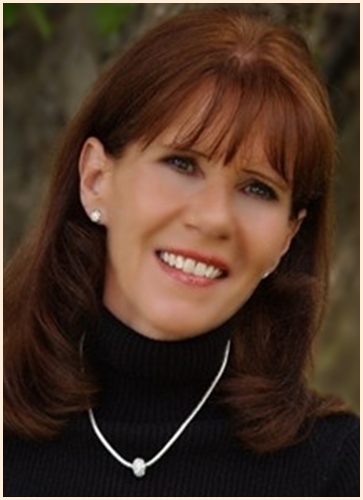 Featuring her original poetry, quotes, and excerpts from her books, she combines many of her published works with her passion for artistic expression—bringing us a timeless collection of digital cards that are meant to uplift and inspire. Please enjoy them and feel free to share them with your friends! CLICK ON any title in the COLLECTIONS box to the right to view and/or share cards. SAMPLE CARD FROM COLLECTION 1: Click on #001-The Path of Songs in the COLLECTIONS box to the right to view full size card. SAMPLE CARD FROM COLLECTION 2: Click on #003-The Law-of-Destination in the COLLECTIONS box to the right to view full size card.